Promoter Eddie Hearn has put together a shortlist of five heavyweights for Dillian Whyte 25-1 (18) to choose from ahead of his ring return in July. The Brixton ‘Body Snatcher’ will be making his 2019 debut after knocking out domestic rival Dereck Chisora in 11 rounds in December. Whyte is the WBC number one contender but is still waiting to hear if the Mexican sanctioning body will install him as the mandatory challenger for Deontay Wilder’s world championship. The undefeated American is scheduled to defend the WBC belt against countryman Dominic Breazeale at Brooklyn’s Barclay Center on May 18. “We wait on a decision from the WBC,” Hearn said to Sky Sports. “Obviously everybody knows they were at a meeting and mediation in London some weeks ago. We expected a decision last week, we’re hoping it will come this week. Hearn refused to divulge the names he was considering for Whyte, but conceded it would likely be against a world-rated opponent. “There are probably about five options for Dillian in July. He wants to have a proper fight, even if he’s mandatory for the winner of Wilder-Breazeale. 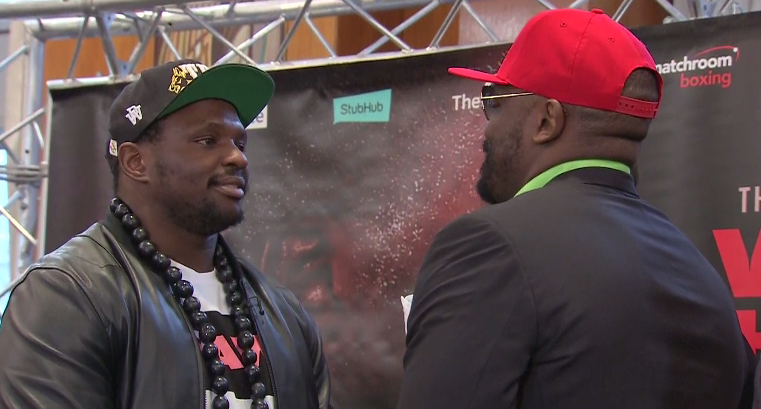 He wants to have a proper fight and that’s Dillian Whyte all over,” Hearn said.